Can't make up your mind whose side you're on? Don't choose! Play both sides as you drink your morning coffee from this Agents of S.H.I.E.L.D. 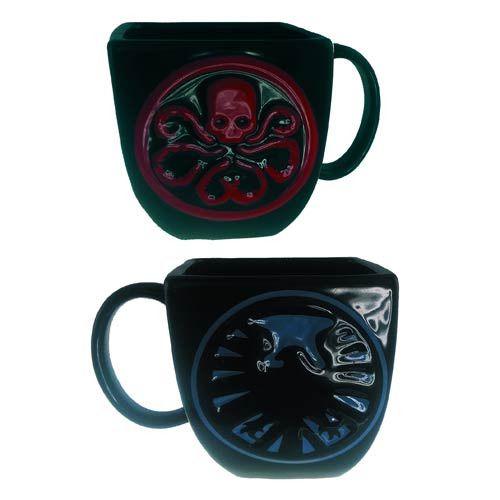 vs. Hydra Molded Mug - Previews Exclusive. One side touts Hydra while the other salutes S.H.I.E.L.D. Holds approximately 20-ounces of liquid. Ages 13 and up.